You’re eager to begin. We want to be your contractor of choice. Let’s get started! To get a free quote on your project, please give us a call at the number below, or use the form to the right. We’ll respond within one business day. Meetings by appointment only, in Mukwonago, WI. 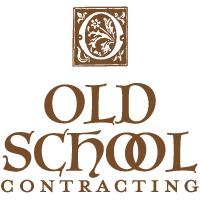 ©Old School Contracting. All rights reserved.